TORONTO, ON., Nov. 06 /CSRwire/ - ReclayPRO, a division of Reclay StewardEdge Inc. (RSE) is pleased to announce it will be offering market based choices for tire producer compliance services in Ontario. 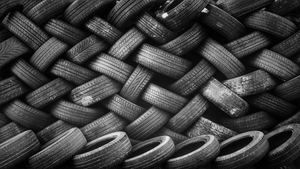 These services will allow tire producers to meet their obligations under the new Ontario Tire Regulation in a cost effective manner without disruption or administrative burden to producers’ core business activities. “We are very pleased to have Kal Tire, a leading Canadian tire dealer and retreader with extensive operations in Ontario, come on board as one of our first customers and suppliers.” says Ken Friesen, Director for ReclayPRO. “Their involvement as a producer, distributor, retailer, used tire collector and retreader makes them a great partner for ReclayPRO.” ReclayPRO includes a broad supply chain to serve a diverse group of producers and retailers, increase valuable material recovery and reduce overall system costs. ReclayPRO is a division of Reclay StewardEdge Inc. (RSE) with offices in Toronto, Winnipeg and the United States, and is part of the Reclay Group, a high-performance, experienced group of companies in the area of compliance systems and material recovery management with operations in Germany, France, Austria, Czech Republic, Slovakia, Spain and Chile. Our experience and expertise in the development of compliance systems, sustainability and resource management best practices is the foundation for our diverse suite of services.